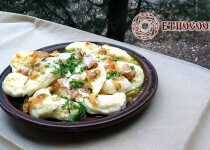 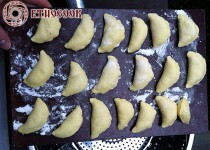 Varenyky, Ukrainian Dumplings with filling are famous all over the world and known since anient times. 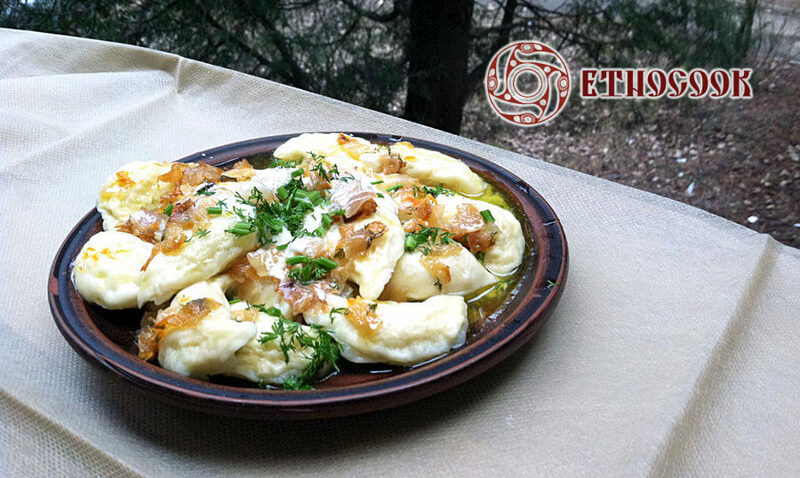 In traditional cuisine Varenyky was one of the most popular dish in Kyiv Rus. 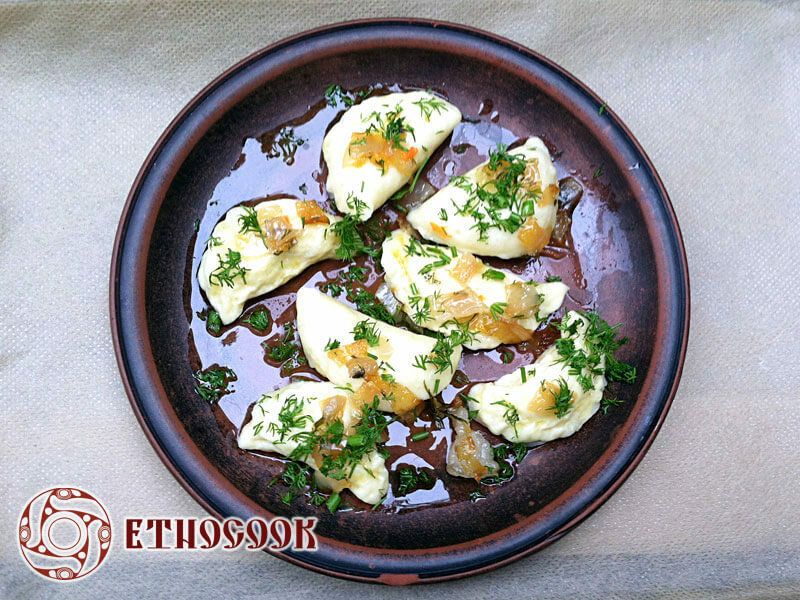 Pyrogy or Varenyky is one of the 12 sacred dishes on traditional Christmas dinner that were formed in 8-9 centuries before the adoption of Christianity and were then inherited in Medieval Ukrainian cuisine. Dumplings are so important among Ukrainian dishes that are marked by the monuments in Ukraine and other places where Ukrainian lives. 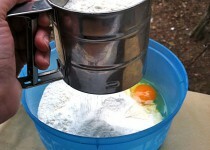 Sift the flour, pour small portions of sour dough starter and slightly heated (~ 35 ° C) milk. 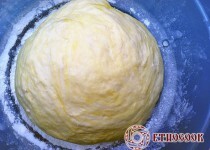 Additionally add egg, salt, sugar, mix thoroughly. 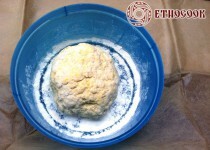 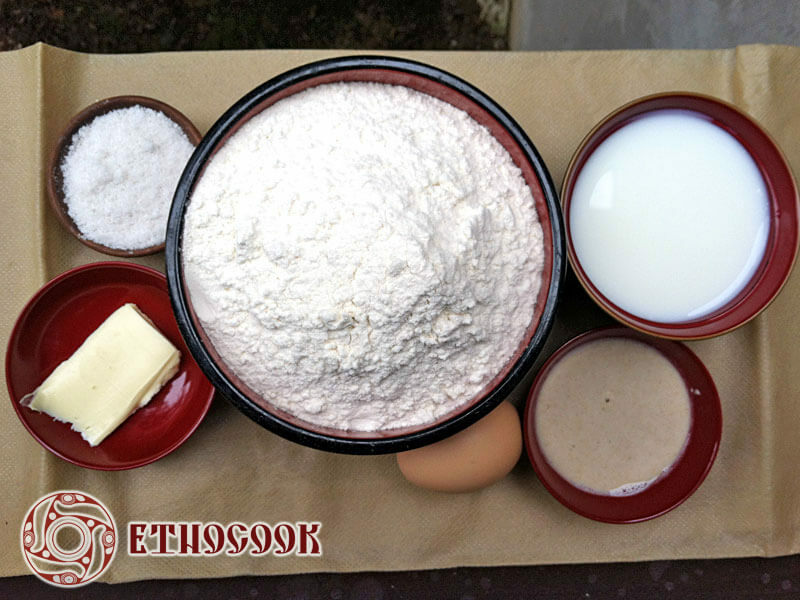 Knead elastic dough, if necessary, add more flour or milk (water). 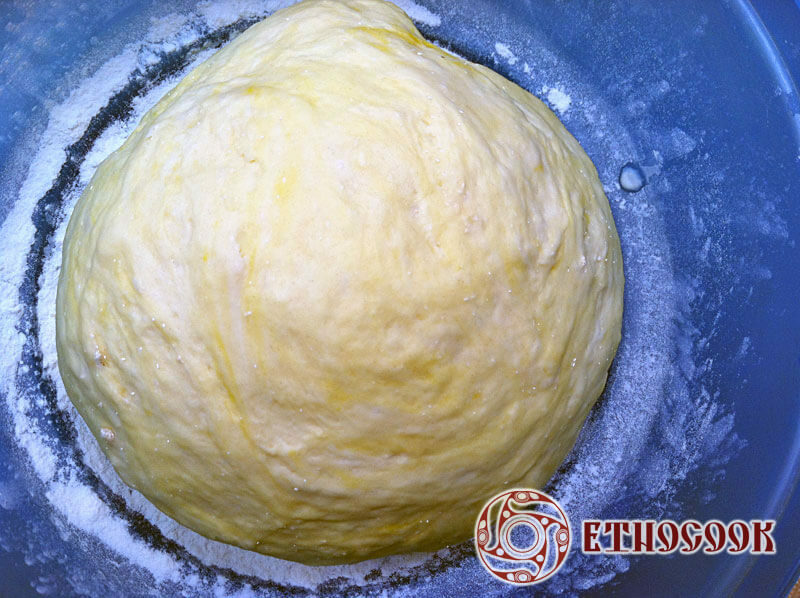 Cover the dough with a napkin or towel and put in a warm place (25-30 ° C), to grown up for ~60 min. 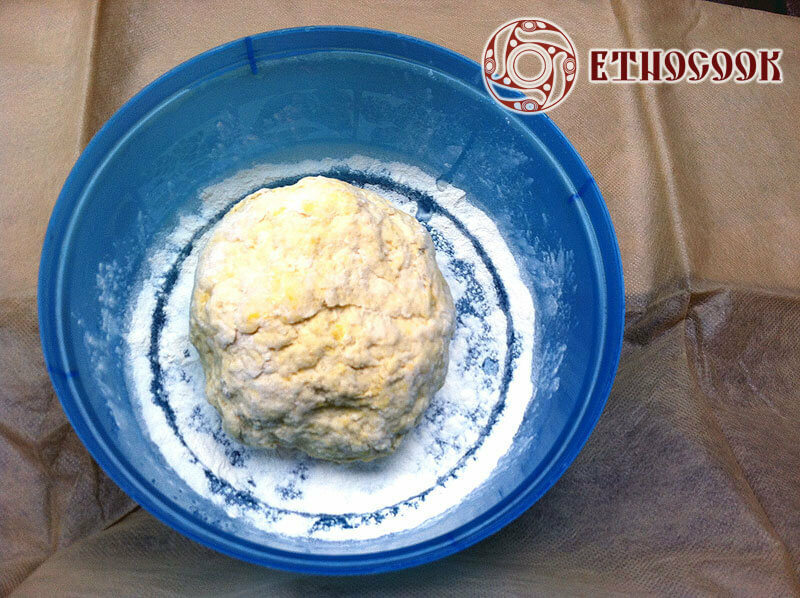 Sour dough for Varenyky is ready. Wash and clean potatoes, cut, boil and cook on low heat until they become tender (~20 min). 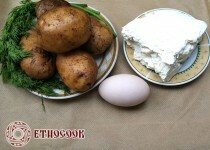 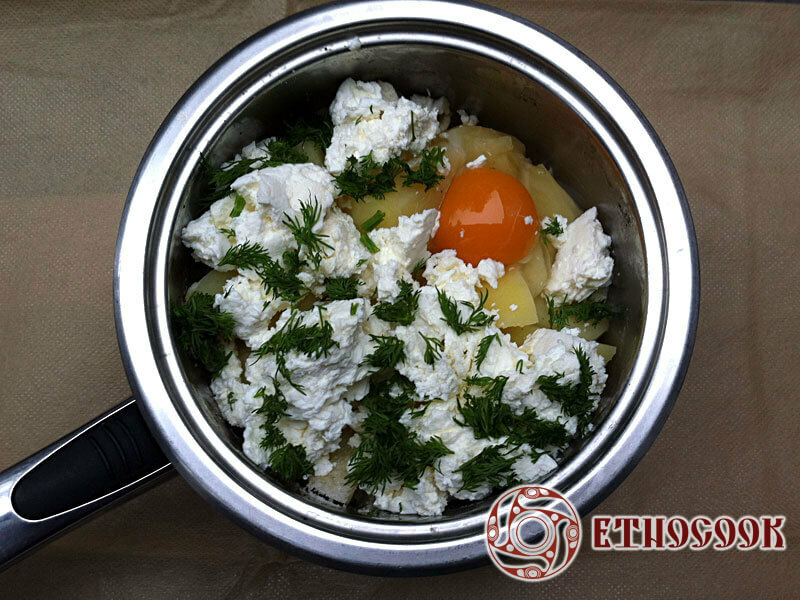 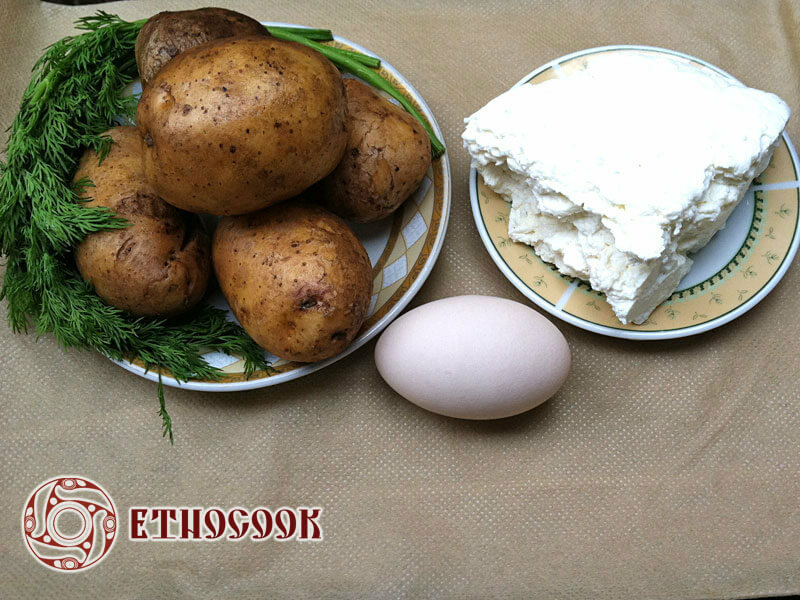 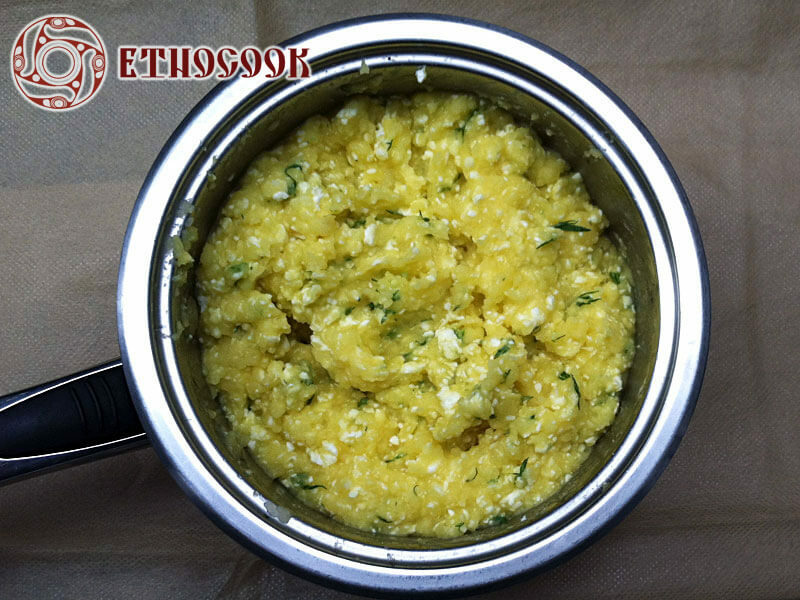 To cooked potatoes add cottage cheese, egg (optional), chopped parsley, dill, salt and pepper to taste. 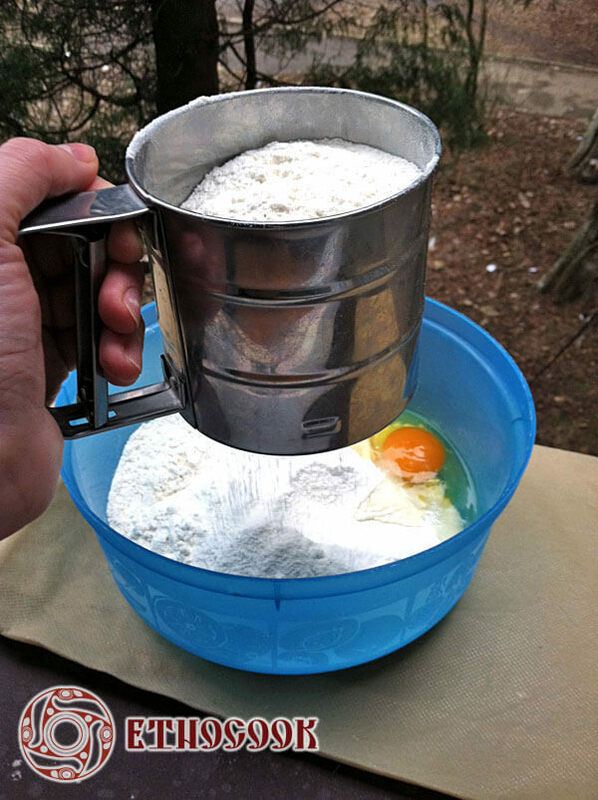 Make mashed potatoes and mix ingredients into a homogeneous mass. 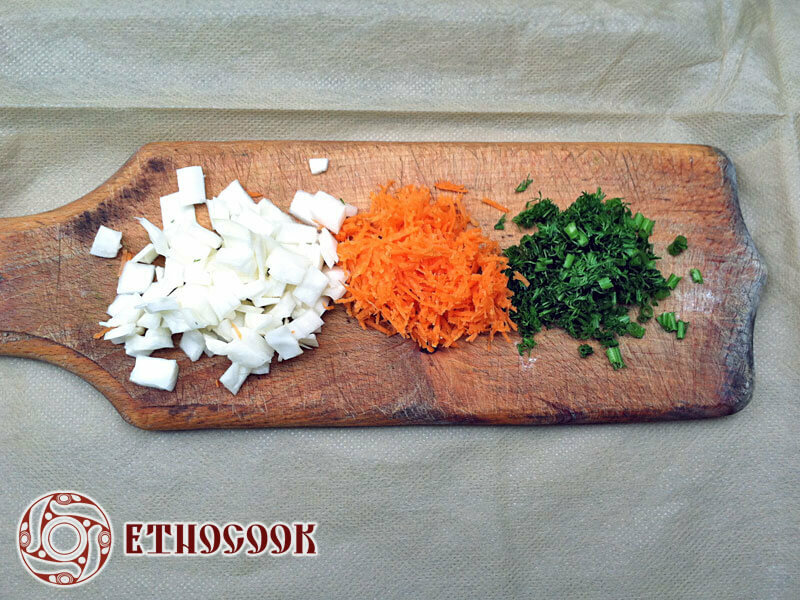 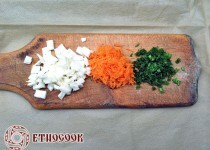 Cabbage cut into small cubes, cut carrots and dill. 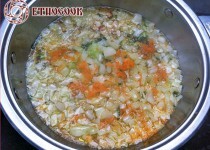 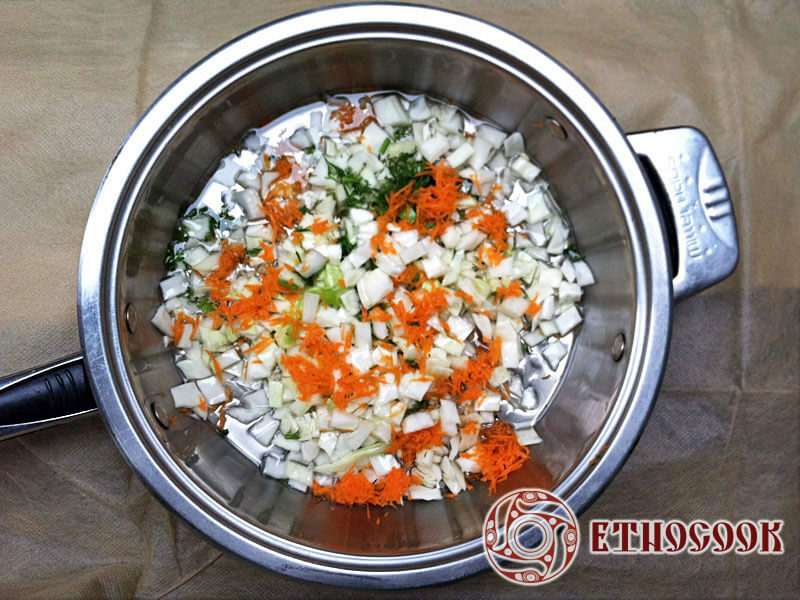 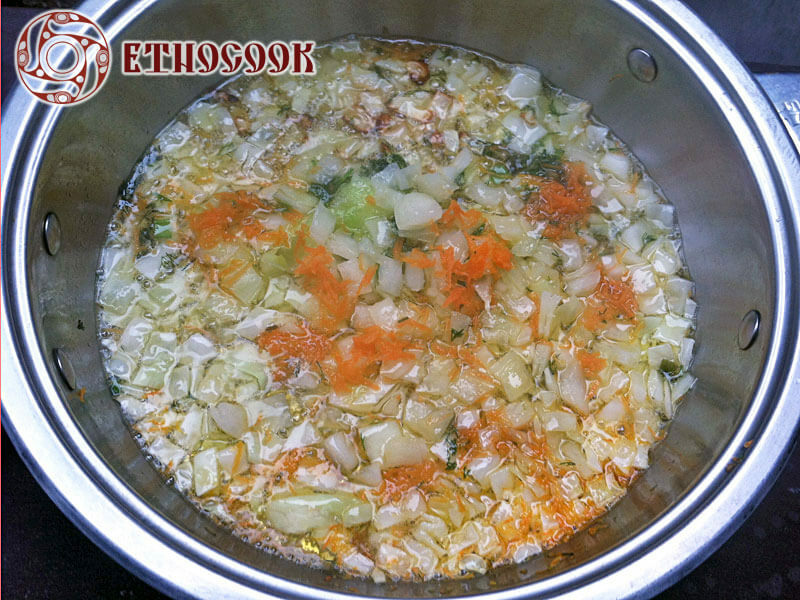 Put vegetables (cabbage, carrots, dill) in a deep frying pan, add oil. 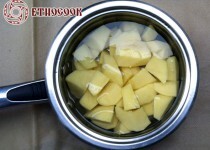 Steam on low heat until vegetables are softened, add to the potatoes. 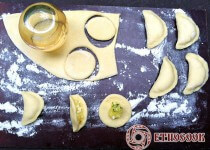 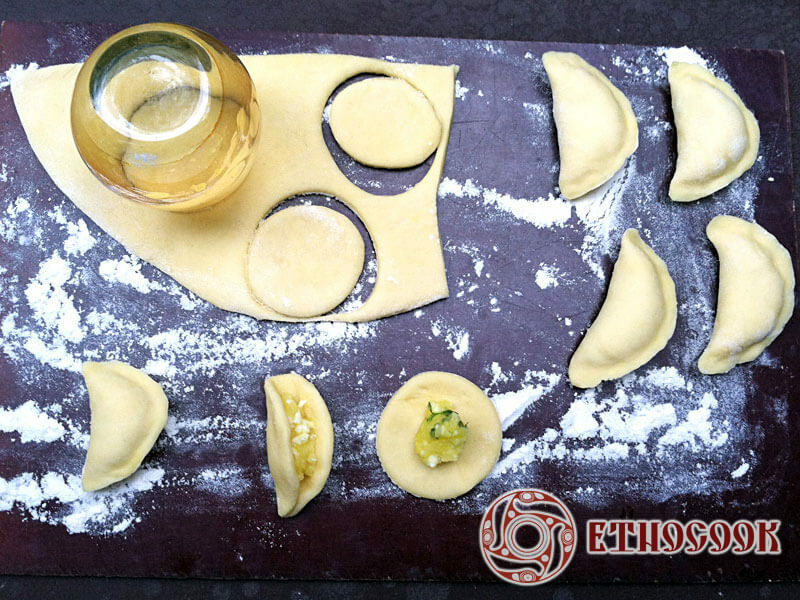 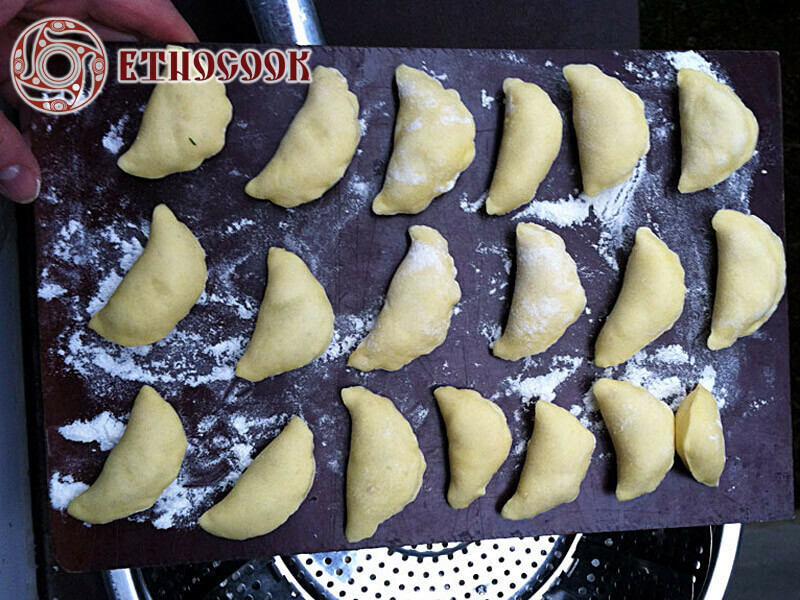 Dumplings put on the floured surface, and leave in a warm place to rise for 30-60 minutes. 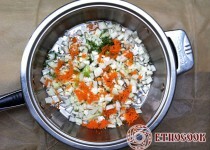 Prepare a steamer. 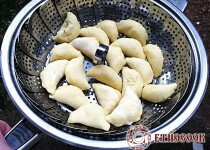 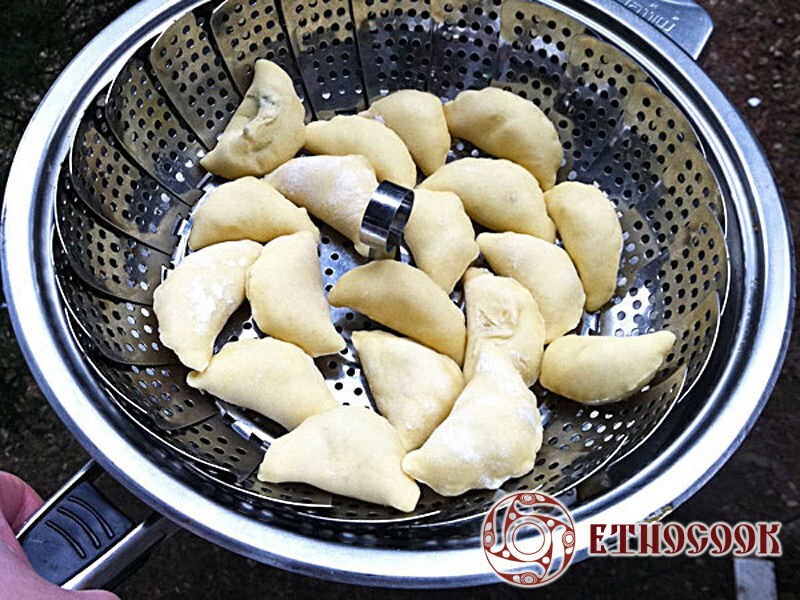 Cook dumplings Varenyky in a steamer, put small portions. 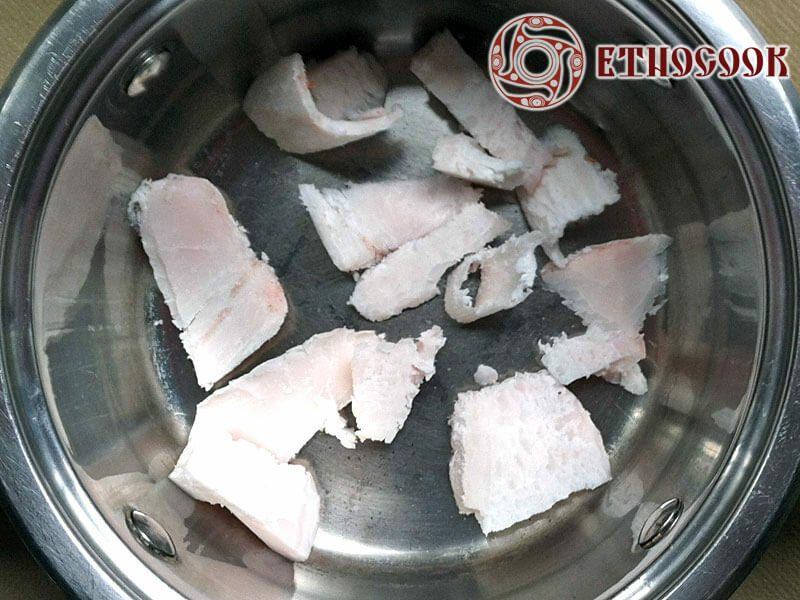 Optionally fry at low temperature cut pieces of pork fat (salo). 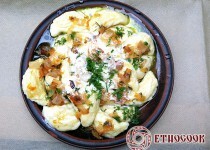 Serve cooked Ukrainian dumplings hot. 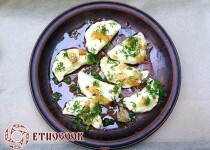 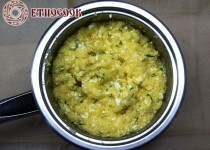 Ready-made Varenyky pour with oil or melted butter, add chopped dill and onion, to taste. 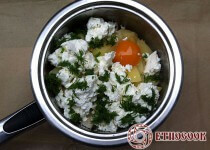 Additionally add pork fat (salo), and the sour cream (optional).